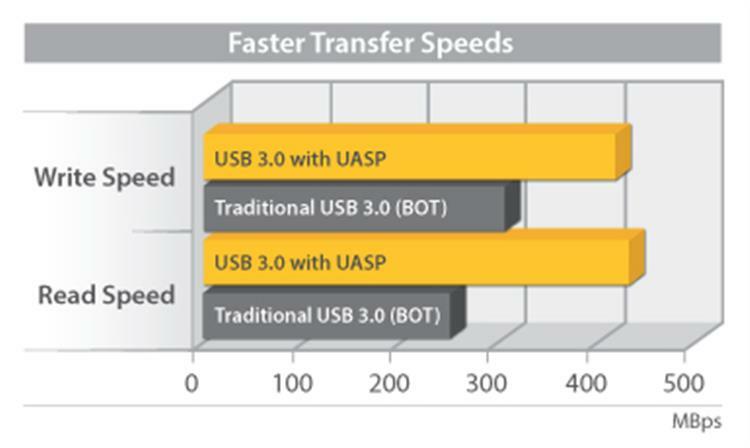 The ECUSB3S22 2-Port ExpressCard USB 3.0 Card adds 2 SuperSpeed USB 3.0 ports to an ExpressCard-enabled computer system, using a 34mm form factor that will fit in both 34mm and 54mm slots, along with ports mounted side-by-side for easy access. 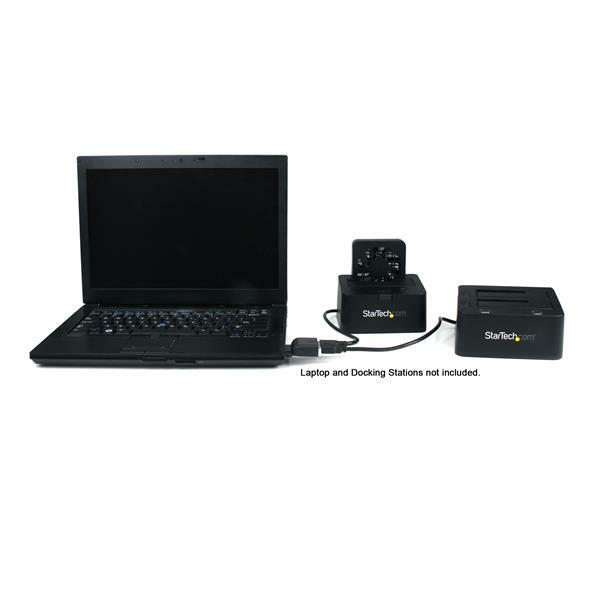 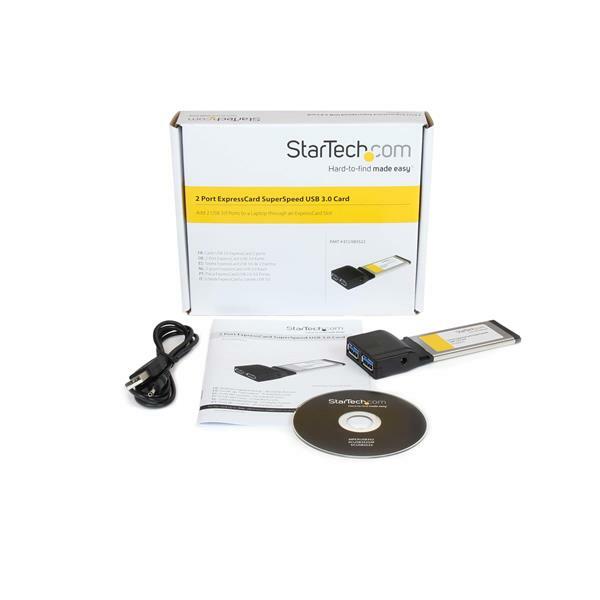 Professionals or home users looking to expand a laptops storage capabilities with high performance USB 3.0 external storage devices for large videos/images/etc. 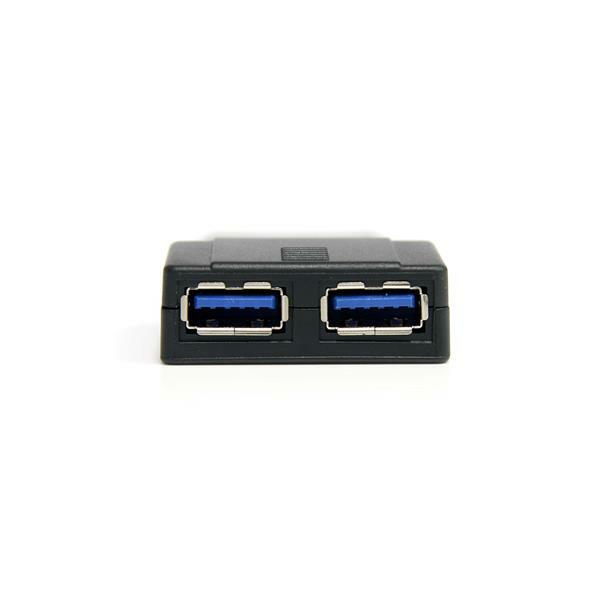 Note Due to the power limitations of the ExpressCard interface this adapter cannot supply 900mA of current to both ports. 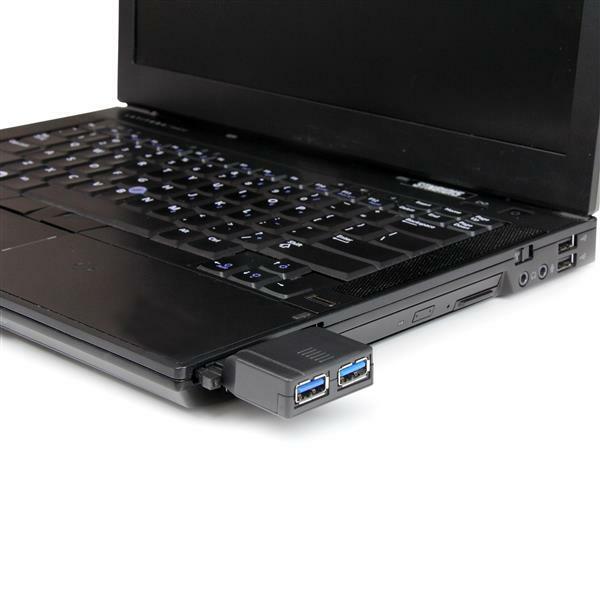 Some devices like External 2.5” Hard Drives may require an additional power adapter.